After leaving the acropolis, we visited this monumental tomb known as the Treasury of Atreus, or as the tomb of Agamemnon. Neither name is probably accurate. 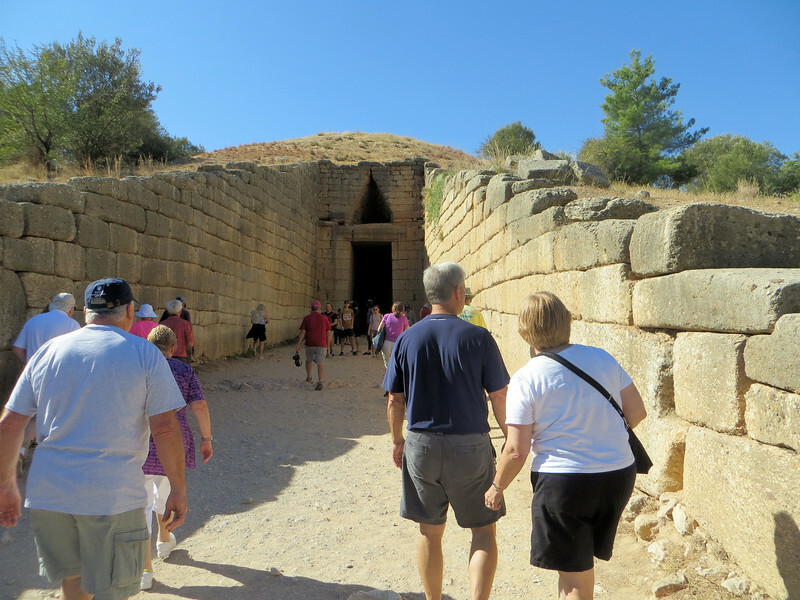 The tomb is of the type called "tholos" or beehive. It is constructed by laying successively smaller rings of bricks or stones. This is the best known one of the type and was built around 1250 B. C.